It has been said by some in the V8 SuperCar Paddock that the media is driving the sport, more particularly News Ltd, following V8SC’s decision this week to allocate teams a new set of Dunlop Control Tyres for Friday practice for the rest of the season. This response was hastened by drivers on Friday in Perth complaining at the press conference that their results were irrelevant due to teams unwilling to use race tyres for the long practice sessions. Some felt that due to Fox Sports commitment to show Friday practice sessions it was this that became the catalyst for the decision to return to the 2013 practice tyre rules. The fact that teams have reported that they were running desperately low on tyres that could be of any value to send their cars out onto the track to practice with is more than likely the real reason for the change. Were it not that, then why wouldn’t you return to the format of years gone by when Friday use to be all about qualifying for the weekend. 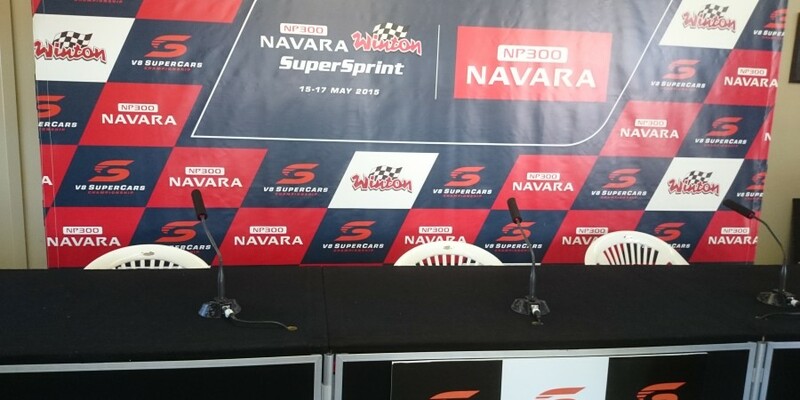 With three (3) qualifying sessions on a typical weekend, surely the cheaper option than using more tyres would have been for V8SC to move the first qualifying to Friday afternoon, thus making the Press Conference a true reflection on what is about to happen on the weekend and story of the night about who would be starting on the front row. However, the decision was not that simple. Yesterday at the Winton Friday press conference the focus was on the lack of on track action in the 60km’s Saturday sprint races. The response, V8 Supercars is set to announce soft tyres will be introduced for the rest of the Super Sprint weekends. The 60km race format, although thought to have failed in 2013 when it was first introduced as the 60/60 races, is now hoped to be saved by introduction of soft tyres that are hoped to fall “off the cliff” and provide more action at the end of the race. Teams are hoping that the changes approved but yet to be announced, will turn around the negative publicity, the current format is producing. Beat you to the first turn.